I have recently come across two articles on climate change from a human health perspective, who urgently demand action to minimize climate-related threats to human health and related costs. These articles were published in one of the highest-impact medical journal, The New England Journal of Medicine. 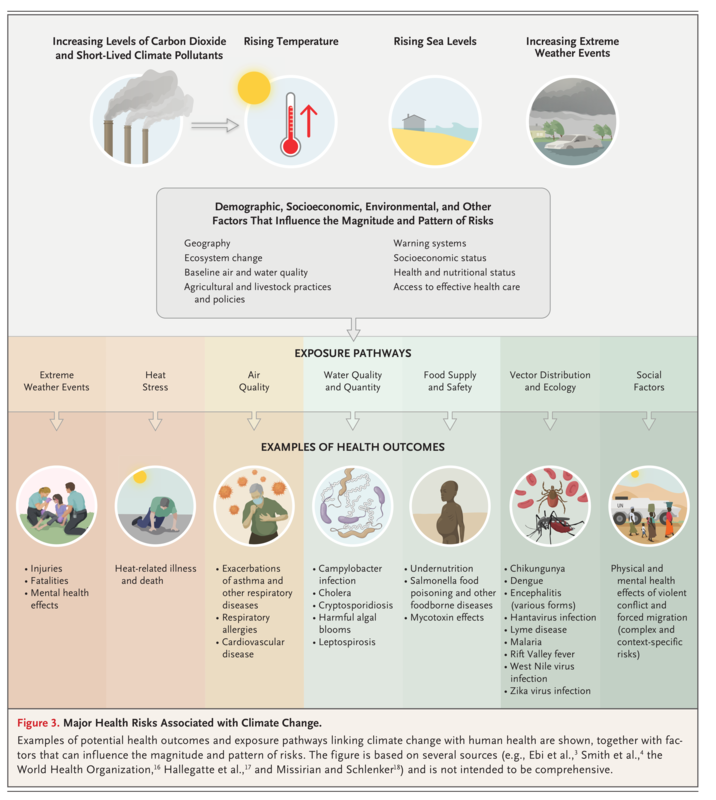 Some highlights are the summary of climate change on human health, which are summarized i Figure 3 of Haines, 2019 . I think these health economic models – although they may be somewhat vague and based on strong assumptions – are very useful as risk communication statements, to convert the effects of problem behaviour (ie carbon dioxide emissions) to final (health) economic results, which may the most relevance for some groups in the human population. See also Solomon et al. (2019)on the same topic in the same issue.